While I was living in Hawaii last year, on two separate occasions I made hamburger and hot dog buns from scratch using my trusty breadmaker. I believe one occasion was on the 4th of July and the other I have no idea. Possibly two different recipes, both turned out rather tasty. However, I apparently did not blog either time and have long been hunting for the recipe or recipes used. Well, this afternoon when I decided to make burgers for dinner, I finally gave up and stopped looking for the recipes I'd used and tried a recipe from Full Bellies Make Happy Kids. They were fantastic! The only changes I made was to substitute 1 1/4 c of whole wheat flour rather than use all bread flour and use brown sugar instead of granulated. I will say that they were on the sweet side, but I liked that. If you're not a fan of sweeter breads, use less sugar or start with granulated. Combine ingredients in order recommended by your breadmaker. For me, that's the order listed. Set to "dough" cycle. 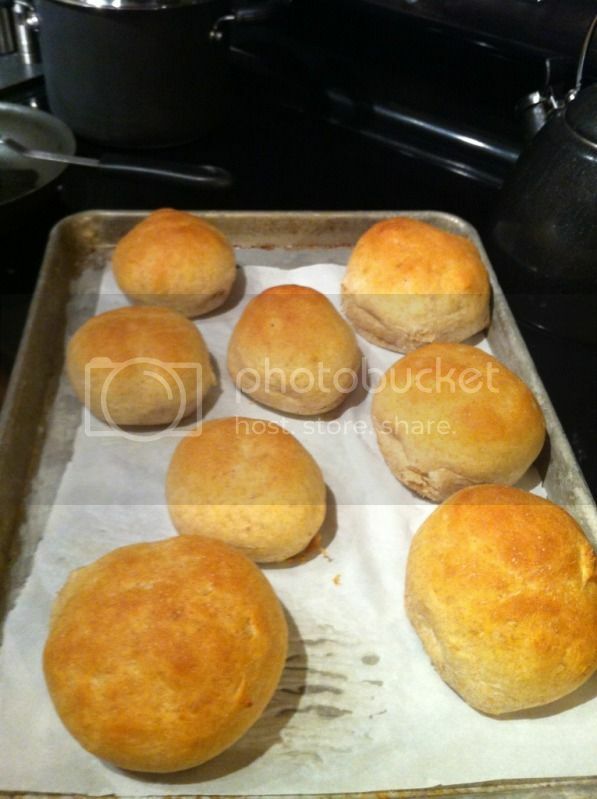 Divide dough into 8-12 pieces depending upon the size of buns you'd like to make. 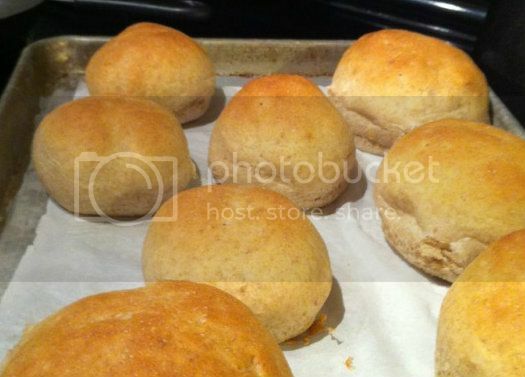 Shape them into round slightly flat balls for hamburger buns and longer cylindrical pieces of hot dog buns. (See Sandra's original recipe for how she shapes hot dog buns.) Cover with a towel and allow to rise at least 30 minutes or until doubled in size. Bake for 9-12 minutes until golden brown. That's pretty similar to the recipe I like to use (though mine is not sweet at all, and suggests garlic or onion). Look yummy! 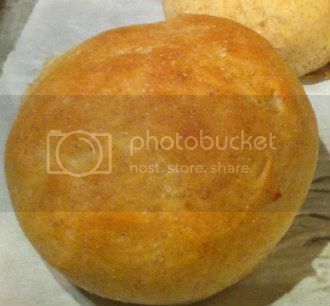 I recently bought a bread maker and this recipe is ideal. Great post, I like the recipe too but due to my health I tend to reduce the amount of sugar and salt.